Wow… where to even begin when it comes to writing about Coachella 2015. This year, I was fortunate enough to attend the festival both weekends. The first weekend under the care of the wonderful PacSun and the second, with some of my closet friends. I’ve been attending this festival for 6 years in a row and I can truthfully say that it is one of my favorites. When I started thinking about what I wanted to write about Coachella for the blog, I began to wonder what the festival means to me. While the meaning has definitely changed over the years, I’ve decided that this year, Coachella was all about dreams. Throughout both weekends, I kept thinking about the theme of believing that dreams come true. I know, this sounds so very Disney Channel, but after all of my experiences over the weekend, I have no other choice than to give into this cliché. It all started with being asked to represent PacSun at the festival, which at first seemed way over my head. I’ve never represented a company of that size before and it really began to test my perception of where the Wild & Free Blog as well as Wild & Free Jewelry is headed. 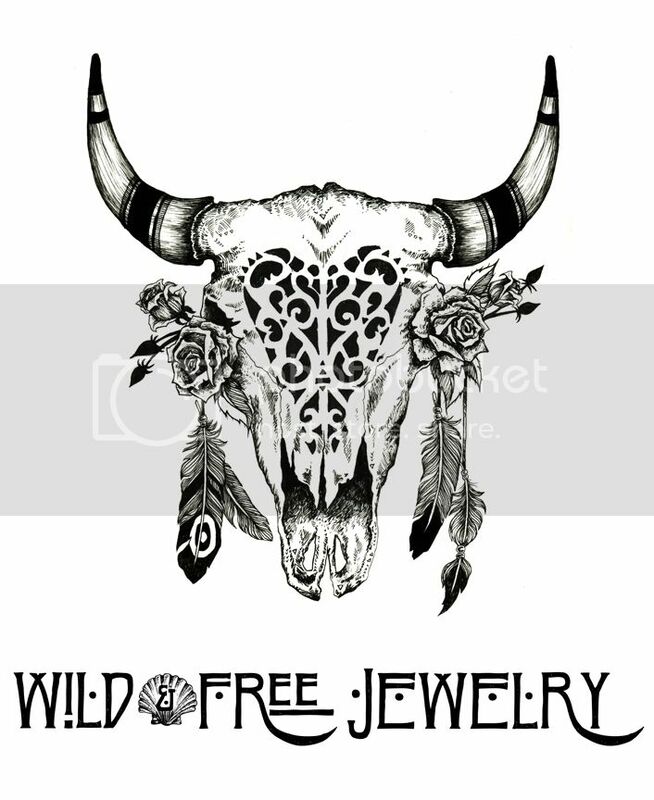 For those of you who don’t personally know me, Wild & Free Jewelry began sort of by accident. Everything that Wild & Free is today is a product of my decision to be creative “just for fun.” When I first started, I never imagined this would morph into a full time job and lifestyle. I only wanted to create, make people happy and share my artistic vision with the world. Even though Wild & Free has grown immensely since day one, I still feel the same as I did when I made my first feather necklace, and while the orders and blog posts keep me extremely busy, I know I will never let go of that initial sentiment I had when Wild & Free started. With that said, it’s a crazy feeling when things finally start to fall into place after you’ve been working insanely hard pursuing your passion. For the past three years, it feels as though I’ve been working nonstop. It’s like I’ve been running on the Wild & Free treadmill at full speed and the stop button is broken. I have no choice but to keep running, keep pushing myself to continue, until someday, hopefully, I will end up looking back on a beautiful journey and wondering how in the world I ever managed to make all of it happen. I had a glimpse of this feeling when I visited PacSun’s HQ right before Coachella Weekend One. Everyone I met seemed so gracious and excited to collaborate with the Wild & Free Blog and it really put things into perspective for me. Because I work from home, and sell everything online, it’s very rare that I ever get to witness the way Wild & Free influences others. With PacSun, it was so clear that Wild & Free is beginning to reach areas of the fashion realm that I never imagined possible. After picking up my Coachella wristband and heading back to my car, I had to sit for a few extra minutes and let intense feelings of gratitude and amazement wash over me. I honestly started to tear up just thinking about how wonderful it is that Wild & Free is taking me to places that don’t even seem real because they’re so close to my dreams that my brain can’t comprehend reality anymore. Sometimes I feel like I’m waiting for someone to pinch me and tell me it’s all an illusion. All of these crazy emotions began to hit me even before Coachella Weekend One started. It must have been the universe prepping me for what was about to occur because once the Coachella madness began, there was no stopping the beauty that began to surround me. In hopes of trying to avoid writing a novel, I’m only going to share my favorite memory from the festival, since I feel like I could write 10 pages on my experience over the past two weekends. Day one, Weekend one, I was walking through the crowd of Lykke Li and bumped right into one of my customers from Germany, Farina, who came to the states just for Coachella. We made eye contact and she recognized me immediately. I made Farina a pair of boots in December 2013 and since then she’s been gracious enough to tag me on her Instagram whenever she wears them. I started following her recently only to discover a day before Coachella that she was going to be at the festival. The odds of running into her, in the middle of a crowd, in a festival full of 99,000 people, truly blows my mind. We spoke for a couple of minutes before parting ways and after, I felt like I was on cloud 9. For the past month or two, I’ve been in awe thinking about the beauty of timing. Over Easter I was talking to my mom about a few experiences I’ve had over the past few weeks where I run into people unexpectedly just at the right moment. She told me that she loves when that happens, and she always interprets it as a sign from the universe that “you are exactly where you’re supposed to be.” In other words, when things start to align, with perfect timing, you can rest assured that you’re on the right path. I adore this idea and in light of all the paths of individuals who crossed with mine at Coachella, I think it’s safe to say that I’m headed down the right path with Wild & Free. With all of these positive thoughts, it’s no surprise that my Coachella experience was filled with beauty. While watching some of my favorite sets, I couldn’t help but notice when the artists took a moment to thank the crowd and their fans for their support. Many of them said things like “We wouldn’t be here without you,” and some even sounded like they were fighting back tears as their genuine gratitude echoed through the speakers. I thought about how magical it must be to stand on that stage, looking out over a crowd of people who adore your work. I also imagined that some of the artists may have started with nothing, and playing at Coachella opened new doors and a new world of opportunity. Suddenly, I almost felt like I could identify with the people on stage because, in a way, meeting a handful of my fans and running into people wearing Wild & Free Jewelry was exposing a whole new side to my experience in the fashion world. Long story short… I came to the conclusion that Coachella is a place for dreams, not only for the artists on stage, but also for the people who attend the festival. There’s something magical about being somewhere with so much creative power that it keeps me coming back year after year. Not to mention… I got pretty inspired by some of the outfits I saw, which means lots of new Wild & Free Jewelry on the way! Sending lots of love from back home in Santa Barbara. Posted in the wild & free blog and tagged coachella2014, wild and free, wild and free blog, wild and free jewelry. Bookmark the permalink.